The Schulte-United Building, also known as the Curry Building, was a five story red brick structure. 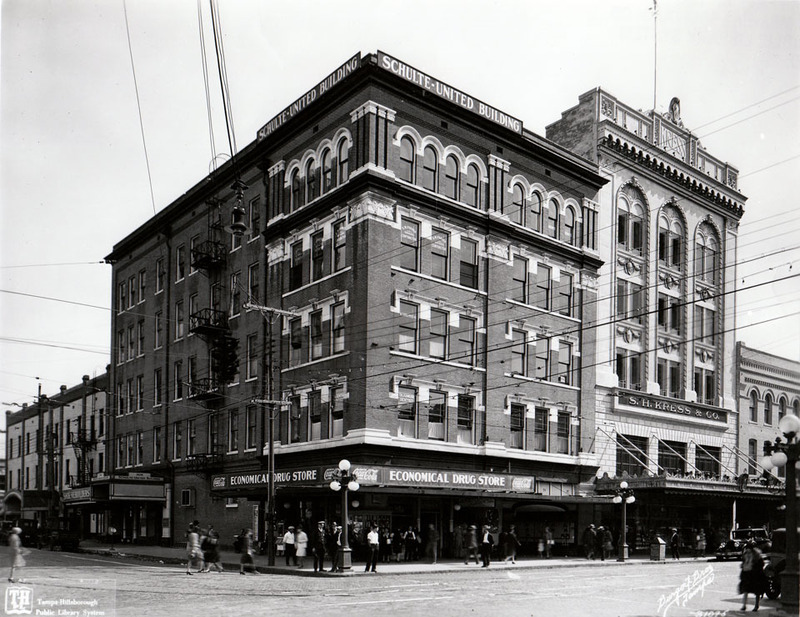 It was later demolished, along with the Poinciana Theatre (as seen in the far left side of the historic photo), which was advertised as “the most attractive and coolest theatre in the South”, to make room for the currently abandoned J.J Newbury building. Mixed use buildings! Notice how just bringing the presence of your shop outside into the sidewalk, creating an in-between space that’s public makes people want to be there. Walkers! Why drive when there’s stuff to look at, people to meet and watch. These spaces are designed for people, not just cars moving too fast. 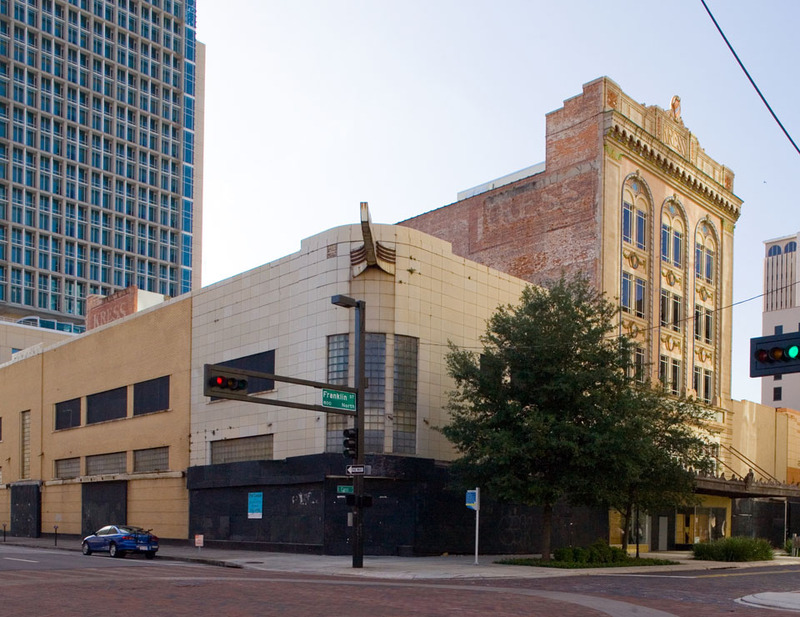 Tampa developers should take risks … by returning to design that worked 100 years ago. We did, however, gain a tree. Interesting to see how some photos were improvements, while others show decline. This photo depicts a step backwards. The original building was elegant while the replacement was boring in comparison. The greatest loss across all the photos is landscaping. The loss of trees in some historic places is sad. I hop some will come back. Perhaps these photos will inspire some landmark owners to make improvements. Widening roads came at a great cost. I remember when the new Newberrys opened. But do not remember the old building shown here.